George Anderson passed away on Thursday, August 6, 2009. He was 77 years old. George was born in Akron, Ohio on November 25, 1931 to William Edward and Winifred (Pape) Anderson. He was graduated from Garfield High School and attended Witchita State and Akron University. Anderson was a man of many talents and interests. He was a teacher, author, karate and jujitsu grand master, artist, concert violinist, builder, historian, and philosopher. Anderson was one of the most influential figures of modern martial arts. His martial arts background dates back to 1950 when he began training in early forms of taekwondo, karate and jujitsu. In the 1970’s, Anderson spearheaded the creation of the Central TaeKwonDo Association and was elected its first Chairman. Next, Anderson was elected Secretary General of the Pan American Union, President of AAU Karate, President of the World Referees Council and to the U.S. Olympic Committee (USOC). Anderson succeeded in getting karate recognized as a medal sport in the Pan American Games. Anderson’s accomplishments changed the landscape of amateur karate in the United States, resulting in 1985 in his being named “Man of the Year” by Black Belt Magazine. Anderson rewrote the rules for competition for amateur karate. These rules, adopted as international standard by the World Union of Karate Organizations and all major karate organizations, remain in effect today. With his election as Technical Director of the First World Cup, Anderson directed the unification of the World Karate Federation and the International Amateur Karate Federation. The first unified “First World Technical Congress” was held in his hometown of Akron, Ohio in recognition of his accomplishments. The skills he learned and the friendships he developed around the world led to the creation of the USA Karate Federation in the 1980’s, an organization which became the first National Governing Body for karate under the USOC banner and the powerhouse for amateur karate and jujitsu in the United States. In 1990, he formed the United States Jujitsu Federation (USJJF) and served as its first President. The USJJF is now the national governing body for jujitsu within the USOC family and appears in the Olympic Committee’s World Games. Karate Illustrated (1992) and Karate Profiles (1993) featured him in cover stories. 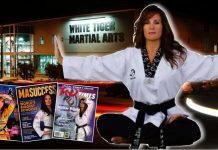 In the late 1990’s Anderson received numerous high-ranking black belt awards and certifications from the most prestigious martial arts organizations in the world. He was in constant demand to visit martial arts schools around the world to physically demonstrate techniques in workshops and seminars, provide technical assistance to multi-country martial arts and other sports organizations, and to teach members of royal families, heads of state and their security staff, and provide the presence needed to lead the global martial arts community into the 21st century. Anderson’s drive to position the martial arts for the new century is reflected by his writing of more than 50 technical manuals, instruction guides, organizational constitutions and by-laws, books, workbooks, and standards templates. 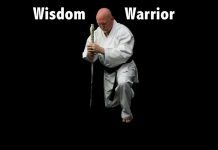 His own KwanMuKan style of karate boasts more than 2,500 black belts with multi-art schools throughout the United States, Canada, the Middle East, Europe and South America. Anderson drove his students to develop an intellectual side to their training, demanding them to understand that being a successful martial artist is linked directly to family, education, friendship and civility. 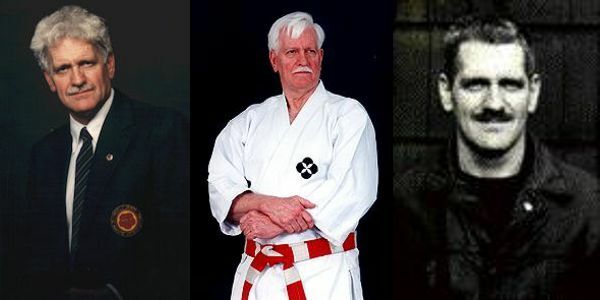 During his final years Anderson enjoyed worldwide appearances on numerous television and radio productions, magazine profiles in Kickboxx magazine (2002), Samurai Banzai (Italy, 2002), and numerous accolades including inductions into leading karate, jujitsu, taekwondo and police instructor halls of fame. 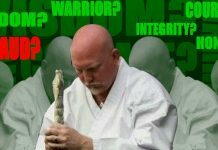 His most recent work with members of the USA National Karate Federation, current National Governing Board for Olympic karate, led to the creation of the “Senior Masters Caucus” to provide mature and fledgling martial arts organizations the insight and experience of long-time practitioners. As always, his favorite times were teaching students directly, whether high ranking black belts and law enforcement officers studying advanced techniques, or beginning students at The University of Akron where he was a Special Lecturer and taught karate for over 30 years. The martial arts community has lost an influential leader, technician, educator and friend. Many consider the martial arts community to be “family” and with Anderson’s passing they have lost their father figure. Friends called at the Bacher Funeral Home 3326 Manchester Rd., Akron on Tuesday August 11, 2009 from 5 – 8 p.m. Funeral services were held Wednesday August 12, 2009 at Riverside Alliance Church , 2433 S. Main Street, Akron beginning at 10:30 a.m. with Rev. F. Nevin Wiest officiating. There was family visitation prior to the service from 9 – 10:00 a.m.